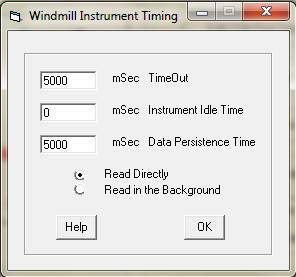 Windmill software lets you continually log data from Rice Lake balances, and other instruments with RS232, RS485 or TCP/IP serial ports, on a PC running Windows. All data is time-stamped and can be imported into Excel either during or after data collection. Our Windmill with the COMIML software is currently reduced from £145 to £50 when you buy from our on-line catalogue. Run the Windmill ComDebug program and enter your balance's settings. Use ComDebug to log data from the balance. Optionally, run the Windmill DDE Panel, Logger or Chart program to save or display data from your balance. Details on entering the Rice Lake configuration settings into ComDebug are below. Read this in conjunction with the step-by-step instructions on our Getting Started page. Here we give the specific settings for Rice Lake CW90 balances and scales connected via RS232. To change the balance settings use its Setup Menu > Serial > Port. These must be the same as your balance uses. These are the default factory settings for Rice Lake CW90 balances. Comm Port: Select the port to which your instrument is connected. In ComDebug's Message Screen, enter a command or prompt string to send to the balance to ask for data. Click the Send button, and the instrument should send a reply. Now click the Parse button and enter instructions to extract the data from the balance's reply. These settings work for CW90 balances. Use the non-print menu to enter the carriage return (013) and linefeed (010). You could instead set your balance to continuously stream data. Get in touch if you need help with this. Choose read directly unless your balance has continuous output (stream) enabled, in which case choose Read in the Background. For simple logging from one instrument you can use the free ComDebug program. For more logging options from many instruments use the Windmill Logger program. 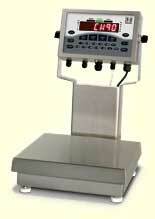 Log only when new data is available from your instrument: when a weight changes on a balance for instance. Even if two items weigh the same, Windmill knows that a change has occurred, so no readings are missed. Log to a new data file at regular intervals, every hour or every 5 minutes for example. This is useful in continuous, long-term logging. Log data only when channels are in an alarm state. Log data for a fixed duration, for example during an alarm condition and for ten minutes afterwards. Use Excel to start and stop logging. Log from different channels at different rates. Log from different channels to the same or different files. Log data from RS232 instruments alongside Modbus and Ethernet devices. You can collect data with Excel in real-time, or use the Windmill Logger program to collect data and after collection has finished import it into Excel. For more details see our Excel page. If you are unable to get data from your balance go back to ComDebug's Terminal screen. Make sure your command is shown in the prompt grid, like in the Message Edit picture above. Click the Send button: does your instrument reply? Make sure that the balance is switched on and plugged into the PC's com (RS232) port. Check that the communication settings you entered in ComDebug match those currently in use by the balance: COM port, baud rate, parity, etc. If using a USB-RS232 converter, its settings must also match those used by the balance - read the USB-Serial page for details, especially point 7. If you are still having trouble see our Testing Serial Port Communication section. If all else fails fill in our technical support form. If, in ComDebug you see data coming in but DDE Panel isn't showing it, you may need to edit your parsing settings. Go to ComDebug's Terminal or Message Screen, click the Parse button. Enter your Ignore and Extract Settings and click the Step menu. Is your data shown in the Value column? If not adjust your settings. See also our Technical Support page. If you are getting accurate data readings, but much slower than expected, change your sampling rate. With COMIML, Windmill can make 5 readings per second per channel. So it can record one weight measurement every 0.2 seconds. If you have the sampling interval set much smaller than this, then Windmill may slow down considerably and only make a couple of readings per minute. Have you successfully used Windmill with your balance? Let us know about your project.